Most Reverend J. Michael Miller, C.S.B. Sr. Mary Anne Zuberbueler, O.P. Michael J. Van Hecke, M.Ed. Mr. Van Hecke is the President and Founder of The Institute for Catholic Liberal Education. He has been a Catholic educator for 25 years, currently serving as Headmaster of St. Augustine Academy in Ventura. He received a B.A. in classical Liberal Arts from Thomas Aquinas College and an M.Ed. in Educational Administration from the University of North Texas. 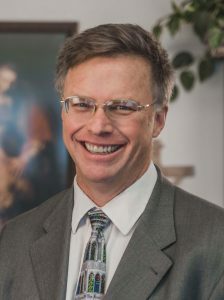 He is President and Publisher of the Catholic Textbook Project, a company producing the first history textbooks specifically for Catholic Schools in nearly 50 years. As a consultant and speaker, Mr. Van Hecke loves to share his passion for Catholic liberal education across the country. When not doing that, he enjoys life with his wife and three children on their avocado ranch in bucolic Santa Paula, California. Chris holds a B.A. and M.A. in Theological Studies from Loyola Marymount University in Los Angeles, where he also worked as the Special Assistant to the Vice President for Student Affairs and Assistant Director of First Year Programs from 2001-2005. From 2005-2017, Chris served as the Director of Admissions, Director of Leadership Development, and Associate Director of Formation at Servite High School. Chris also serves as the Co-Chair of the Board of Advisors for the Sanberg International Leadership Program. He and his wife, Annie, live in Long Beach, California, and have three children, Mary Elizabeth, Magdalena, and William. A former journalist, Elisabeth developed her passion for Catholic liberal education while exploring authentic formation in faith and reason for her own children. The same desire to know the truth of things that drew her to journalism found its purpose in serving the Church through the recovery of the Catholic intellectual tradition, especially in elementary schools and high schools. Elisabeth joined the Institute in 2010 to advance this vision and train educators in its philosophy and practice. She is a CiRCE-Certified Classical Teacher who has taught writing and literature, served on Catholic school boards, and served as director of communications for a classical liberal arts school in the Catholic tradition. Elisabeth holds a B.S. in Humanities from the Georgetown University School of Foreign Service, and an M.S. from the Columbia University Graduate School of Journalism. She and her husband, John, have three sons and live in North Carolina. For more than two decades, Dr. Andrew Seeley has been a Tutor at Thomas Aquinas College in California. 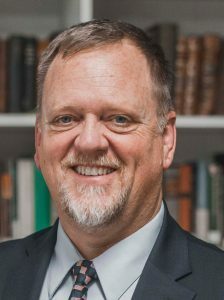 Dr. Seeley received a Licentiate from the Pontifical Institute in Medieval Studies (Toronto) and a Ph.D. in Medieval Studies from the University of Toronto (1995). He has taught joyfully and extensively in all the areas of a Great Books curriculum. Desiring to share his love of Catholic learning, Dr. Seeley joined the Institute in 2005. He and his wife, Lisa, have six children and four grandchildren.